Home / Annie Potts / Bill Murray / Dan Aykroyd / Ernie Hudson / Extreme Ghostbusters / Ghostbusters / Ghostbusters II / Harold Ramis / Movies / Rick Moranis / Sigourney Weaver / The Real Ghostbusters / Ghostbusters, What Do You Want? How About A Classic '80s Film! Ghostbusters, What Do You Want? How About A Classic '80s Film! Many feature films are released each year to the box office. Some do well and some do poorly, but what is perhaps most important is if they are memorable. The '80s were great for this. For all these films that people still watch and get excited about to this day, there were also movies that people ignore and barely remember. Ishtar for example is never going to be listed on any great movie list and might actually be on the opposite. Luckily, there were fantastic films such as Star Wars: The Empire Strikes Back, Gremlins, Back to the Future, Ferris Bueller's Day Off and many more. One of the most enduring films of the 1980s, one that is still watched, beloved, referenced, merchandised, re-released and has a huge fan base is Ghostbusters. 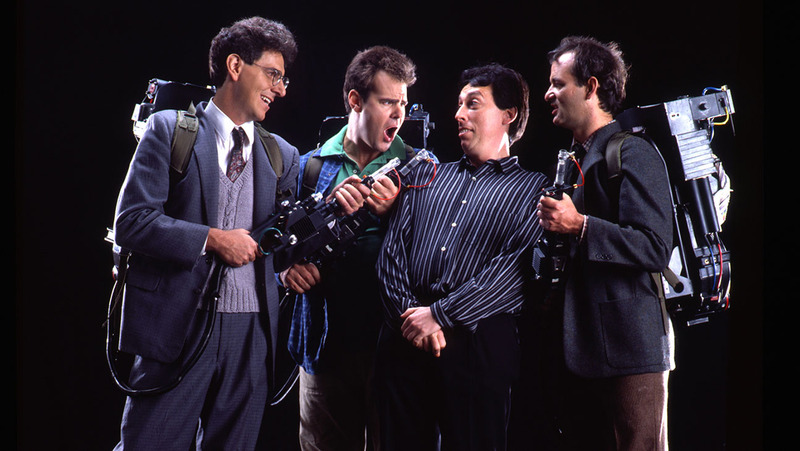 The 1984 comedy used some of the top comedic acting talents of the day to portray exterminators for ghosts. It's a novel concept of combining a mundane thing with something spectacular and it worked. Harold Ramis, Dan Aykroyd, Bill Murray and Ernie Hudson brought their characters to life using their comedic chops and created a classic film. Seeing Egon, Ray, Peter and Winston deal with the increasingly bizarre world around them provided plenty of humor to go with the great supporting cast of Annie Potts, Rick Moranis and Sigourney Weaver, It was definitely something special. The response to Ghostbusters was overwhelming. It received critical acclaim and broke numerous box office records for the studio. It spent weeks at the top spot and was the second highest grossing film of that year, only behind Indiana Jones and the Temple of Doom. When adjusted for inflation, it is one of the top forty grossing movies ever. It's characters, their uniforms, proton packs, Zuul, the Stay Puft Marshmallow Man, Slimer, Ecto-1, the fire house, the logo and more have all become iconic. Ghostbusters is still loved and watched today, but it's had a legacy much larger than anyone could have expected for a comedy film. The first spin-off was The Real Ghostbusters, an animated series than aired for seven seasons. Ghostbusters II would follow some years later, but never captured the audience or the success of the original. There have been further spin-offs on TV and film, Extreme Ghostbusters ran for forty episodes and the reboot film that was launched in 2016. The franchise has also been represented in other areas of pop culture. Dozens of comic books have been produced since the release of the first film, which have been based on the show and movies, introducing new characters and concepts, travelling through time and space and more. 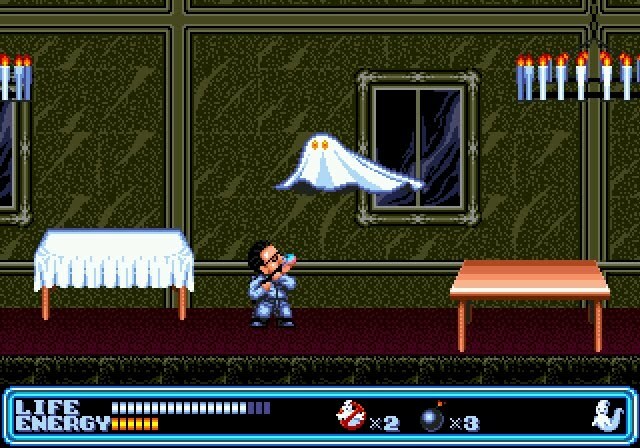 Games have been a haven for Ghostbusters fans, with some examples being the side-scrolling platform shooter for the Sega Genesis/Mega Drive, the movie sequel video game created with Dan Aykroyd and Harold Ramis, a mobile slot bonus game, Ghostbusters: Triple Slime from Ladylucks, and various pinball games. The movie has also been referenced by academics, as a recent dinosaur discovery was named Zuul Crurivastator after one of the creatures in the film. Ghostbusters has been around for over thirty years now and we're likely to see the film, it's merchandise, it's spin-offs and fans for many years to come.